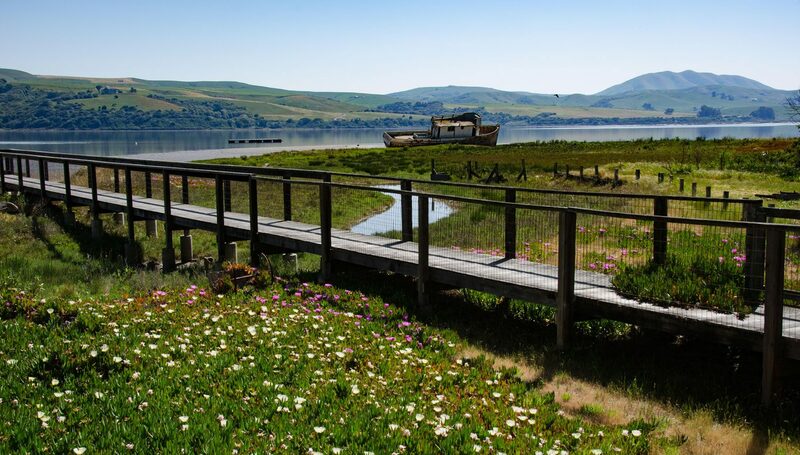 Immerse yourself in nature: stargaze from your private deck and experience the life and moods of Tomales Bay from the privacy of your own cottage. 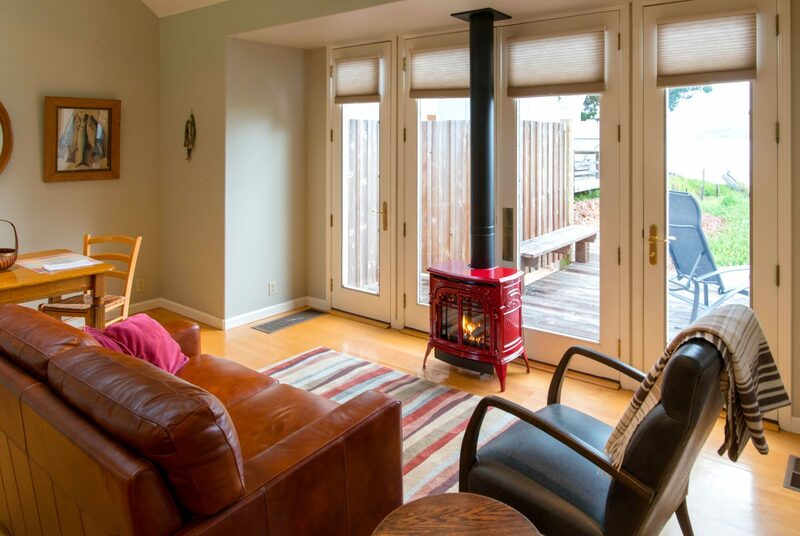 Whether you’re planning a romantic weekend in Point Reyes or an extended retreat, the cottages are a tranquil oasis — providing privacy, comfort and the best views of the bay. While you’ll feel a world away, everything you need for a perfect Point Reyes getaway is at your fingertips. Saltwater Oyster Depot and Vladamir’s are just across the street, and the restaurants, shopping and live music venues of Point Reyes Station are only a few minutes’ drive. Beaches, hiking, tide pooling, kayaking, Tule Elk trails & elephant seal breeding grounds are nearby. 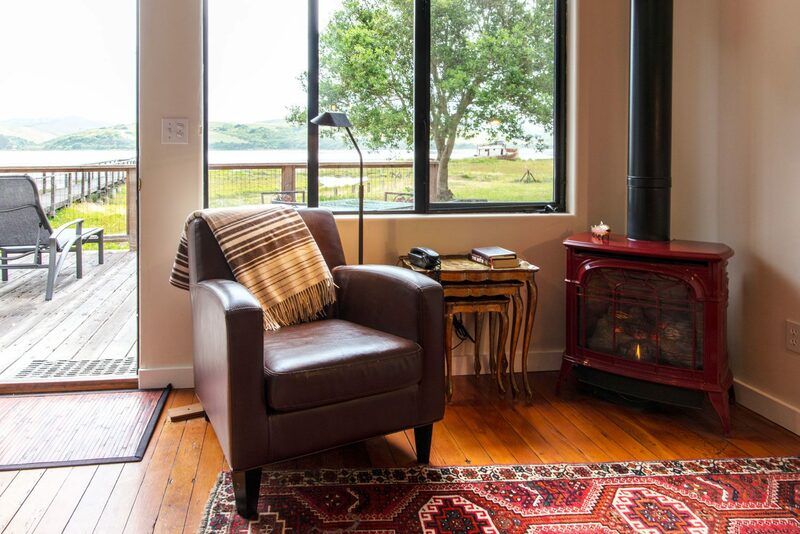 The cottages are comfortably furnished and feature fully equipped kitchens, hardwood floors, leaded glass windows, skylights and French doors that lead out to private decks overlooking Tomales Bay. The Point Reyes area is a fantastic place to ride — whether it’s on the beach, around town or on one of many trails that end in spectacular views. Convenient horse stabling, just five miles from the cottages, is available to our guests. Booking a cottage and horse stall together through our online reservation calendar is easy. If you need more information about booking a stable in conjunction with your lodging reservation, go here.